GALLIPOLIS — Maggie Bostic of Gallipolis, and Kevin Malone of Gallipolis, announce their engagement and upcoming wedding. The Bride-Elect is the daughter of Brett and Tiffini Bostic of Gallipolis and the granddaughter of Late Kenny and Sue Ann Bostic and Jack Swain and Roger and Darlene Garlic all of Gallipolis. The Groom-Elect is the son of Dawn Smith of Waverly and the grandson of Coleman Cass of Lancaster, Calif., and Norma Cass of Waverly. Bostic graduated from Gallia Academy High School in 2013 and graduated from the University of Rio Grande in 2018 with a Bachelor’s Degree in Middle School Education in Math and Science. Malone graduated from Waverly High School in 2011 and graduated from the University of Rio Grande in 2014 with a Bachelor’s Degree in Adolescents to Young Adult Mathematics. He currently is employed with Gallipolis City Schools. 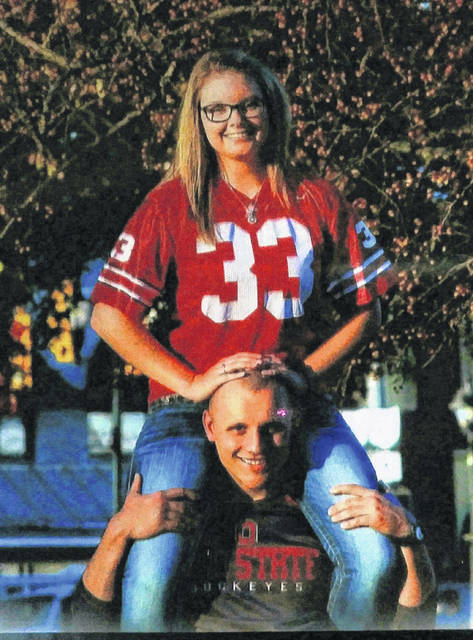 Their upcoming wedding will be held on June 2, 2018 at First Baptist Church in Gallipolis.